After 8 months of having fun developing the Tri City and Dracon Peninsula, we regret to inform you that Swords of Fate will be terminated effective from 2 Jan 2015, 1400 hrs (GMT+8). It was a hard decision to make for the development team of SOF. The decision was made to ensure that we can conserve our resources and focus on our upcoming games for our fans such as yourself. 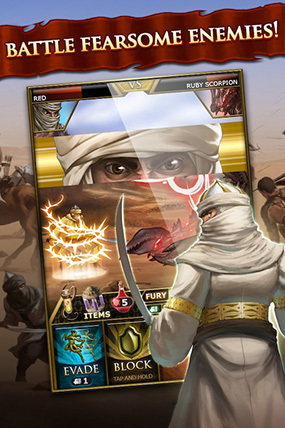 SOF is the first smartphone game we have ever developed and we have done our best to service it for our players. With this experience, we will continue to release new games with more unique gameplay features. We do hope that you will continue to enjoy the game until its retirement date. We will be disabling In-App Purchases after completion of the maintenance on 17 Dec 2014, 1400 hrs (GMT+8). The other functions and services in the game will be available until 2 Jan 2015, 1400 hrs (GMT+8). Changes to the above-mentioned schedule may be made without prior notice. We apologise and we hope that you will understand that there will be no refund or liquidation of any in-game items purchased or earned within the game. All the proceeds gained from sales within the game have been used to further develop and enhance the game throughout its operation period. After the game’s retirement, players will be unable to play the game or view past data from the game. Please note that once the application has been deleted from the device, it will not be possible re-install the application. The development and operations teams of Swords of Fate would like to give you their heartfelt thanks for taking this journey with us as we gave it our all to give you the best experience possible. Thank you, Tri City Warrior. It has been an honor serving you. 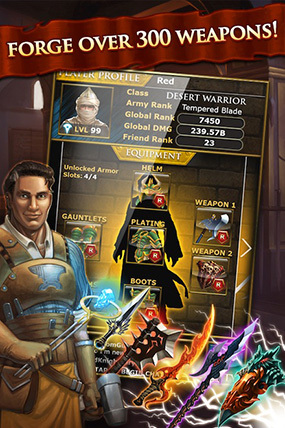 Swords of Fate is a free-to-play, mobile game for the iOS mobile platform. 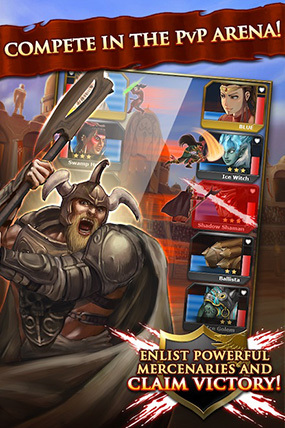 In this fantasy RPG, players take on the role of a soldier destined to unite seven warring regions. Players can fight alongside friends to launch war conquests and explore the mysterious Dracon Peninsula. Experience a unique, fast paced battle system - react to your enemies’ attacks and unleash your fury at the perfect moment for maximum damage! Battles rage without end in this land. Fight alongside your friends against enemies. Complete the War Conquests in seven different regions to obtain great treasures that will help your hero throughout his or her adventures. Hire mercenaries to join your party and compete against other players - prove yourself as the ultimate Tri City champion of the PvP Arena! Forge a huge arsenal of weapons. Fuse weapons to increase their power and wield the mightiest of weapons in the Dracon Peninsula.